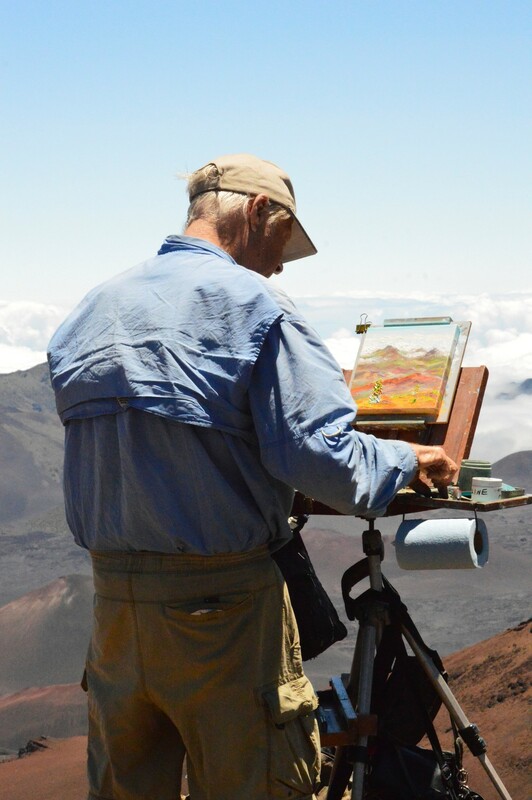 I live in Maui and I love to paint! To have the ability to interpret what I am seeing so I can share it with others from my beautiful island is very exciting! While I do work with figure studies, still life, abstract or symbolic work, I am in my element when I am painting seascapes and landscapes. While I enjoy studio work from studies, photo reference or paint what is in my mind, I find ON location painting (Plein-Aire) speaks to my soul. Generally, I paint in oils on canvas or hardboard, using a brush and a lot of palette knife work. I suppose it could be said that I paint in an impressionistic style, as that is the way the "view" speaks to me. My work has developed from planning out my approach to painting from an intuitive focus which I believe provides a little more of an "experience" when you view my painting. 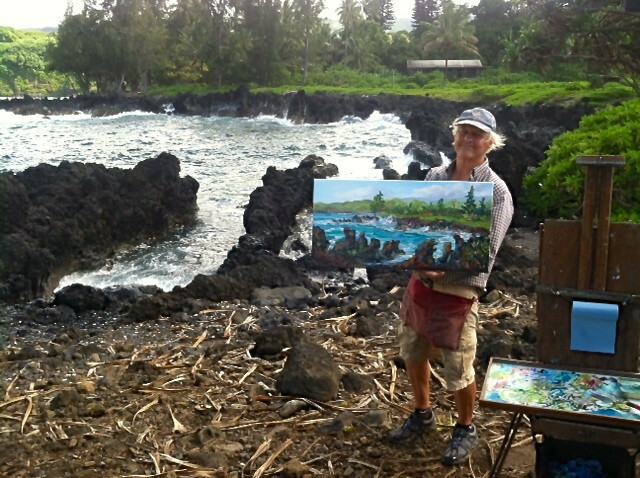 Please know that each painting is done with love for our land and in particular, my island of Maui. I hope you enjoy the beauty of these settings as much as I do in painting them.